Your immune system works around the clock to fight infection and keep you healthy. Just like a car needs a tune-up and gas to run, your immune system can use a boost to keep in tip-top shape. Essential oils are the concentrated version of the natural oils in plants. They are also a secret weapon that can help you improve your health and boost your immune system naturally. 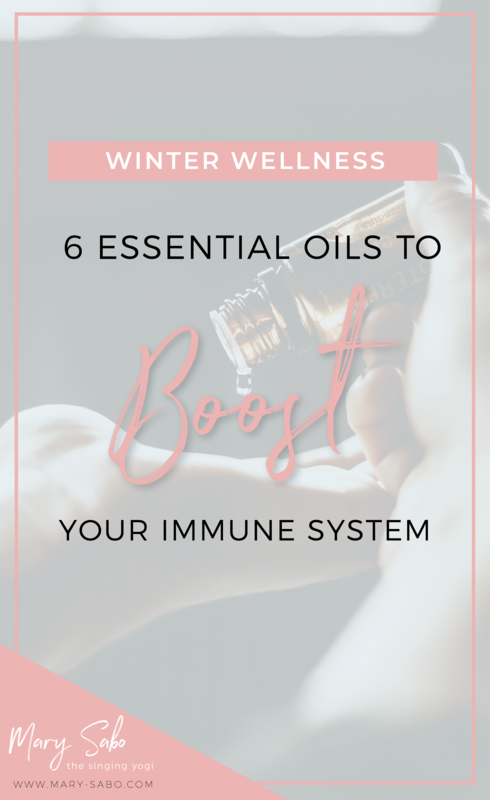 Here are 6 essential oils you can add to your Winter arsenal. What it does: Peppermint is synonymous with the winter holiday festivities but it's also a little-known tool to help your immunes system and aid with other ailments. It can be used topically to help with headaches, indigestion and even to increase mental alertness. How to use it: Use peppermint essential oil in tea to help reduce cravings sugary foods which can weaken your immune system. What it does: Oregano Oil fights pathogens that can cause us to feel under the weather by supporting our immune system and being a germ-destroyer. How to use it: Add 2 drops of oregano in carrier oil and massage into soles of feet. What it does: This fruity oil can help cleanse kidneys and the lymphatic system. How to use it: In the morning, add 1-2 drops of grapefruit essential oil to tea/hot water for a refreshing way to boost the immune system. What it does: Eucalyptus essential oil is known for being anti-inflammatory and is a great way to relax and calm muscles and it's also known to be germ-destroying. How to use it: Diffusing eucalyptus oil and/or by adding two drops to a warm bath can boost immune activity. What it does: Lemon essential oil is the multitasker of the essential oil family. It promotes health and healing as it is a natural cleanser and is incredibly purifying. How to use it: Keeping your home clean and fresh is an important way to fight against germs in the Winter. Fill a 2 oz spray bottle with water and add 20 drops of lemon essential oil. The antibacterial properties of lemon essential oil will clear germs and freshen the air in your home. What's in it? Wild Orange Peel, Clove Bud, Cinnamon Leaf, Cinnamon Bark, Eucalyptus Leaf, and Rosemary Leaf/Flower essential oils. What it does: Supports immune function, relieves coughing, a runny nose or night sweats and protects against seasonal and environmental threats. 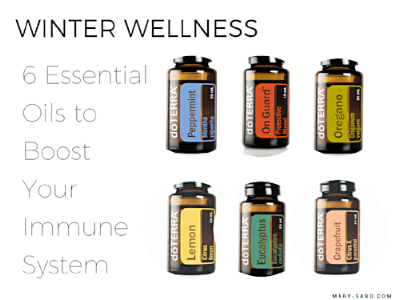 Want to explore more essential oils to incorporate in the new year? Get free access to my Yoga & Wellness Resource Library with yoga sequences, self-care guides, and more!